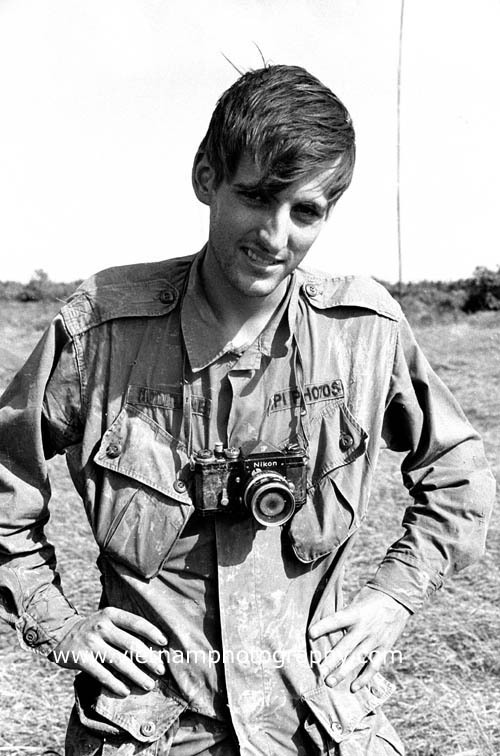 Freelance photographer Robert Hodierne after nearly drowning in the Mekong Delta in 1966. Photo by Larry Burrows. 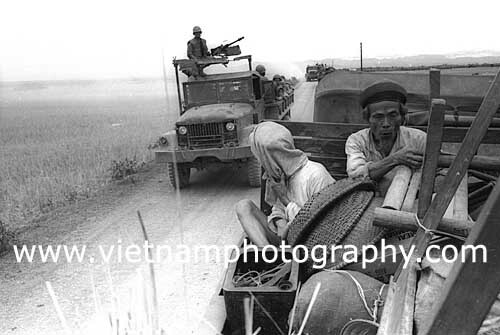 An old man sits in the back of a truck with most of his possessions as a convoy hauls his entire village away. The village in I Corps was being relocated as part of the so-called Pacification Program. 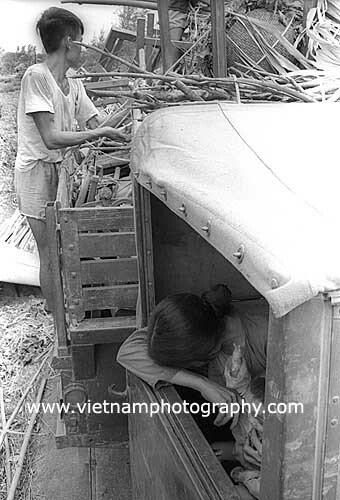 A woman weeps as her husbands loads their possessions onto a truck. 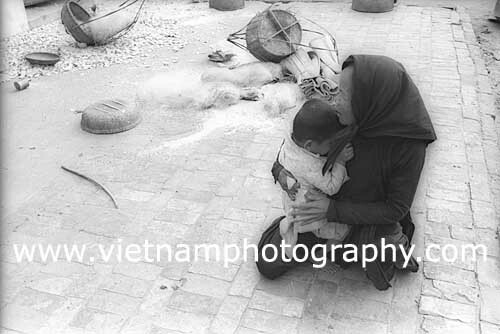 Their entire village in I Corps was being relocated as part of the so-called Pacification Program. 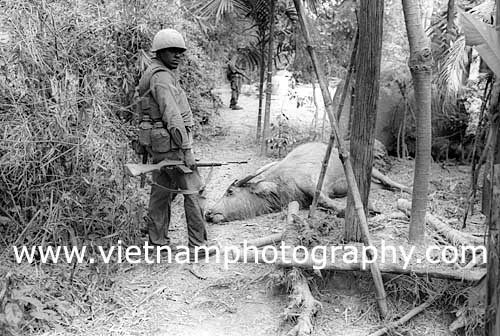 A Marine, armed with an M-14 rifle, looks at a dead water buffalo during a search of a Vietnamese village. The Marines were from Alpha Co., 1st Battalion, 1st Regiment, 1st Marine Division. They were taking part in Operation Lafayette about six miles north of Hoi An in Quang Nam province in Feburary 1967. 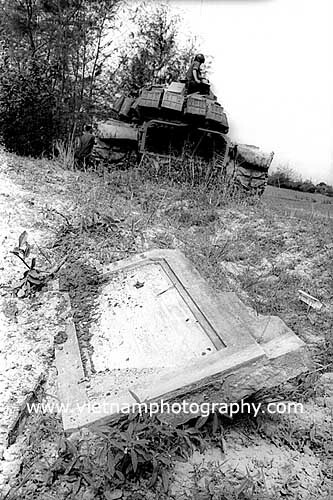 A Marine tank rumbled through a cemetery during a search of a Vietnamese village. The Marines were from Alpha Co., 1st Battalion, 1st Regiment, 1st Marine Division. They were taking part in Operation Lafayette about six miles north of Hoi An in Quang Nam province in Feburary 1967. 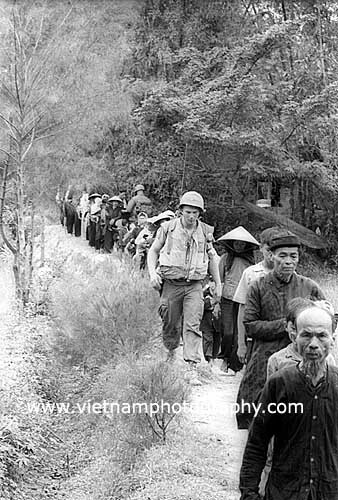 Marines lead Vietnamese away from their villages for questioning and to make searching the village easier. The Marines were from Alpha Co., 1st Battalion, 1st Regiment, 1st Marine Division. They were taking part in Operation Lafayette about six miles north of Hoi An in Quang Nam province in Feburary 1967. 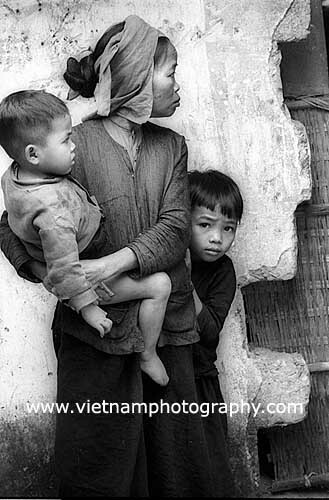 A Vietnamese mother and her children look on as Marines search their village. The Marines were from Alpha Co., 1st Battalion, 1st Regiment, 1st Marine Division. They were taking part in Operation Lafayette about six miles north of Hoi An in Quang Nam province in Feburary 1967. 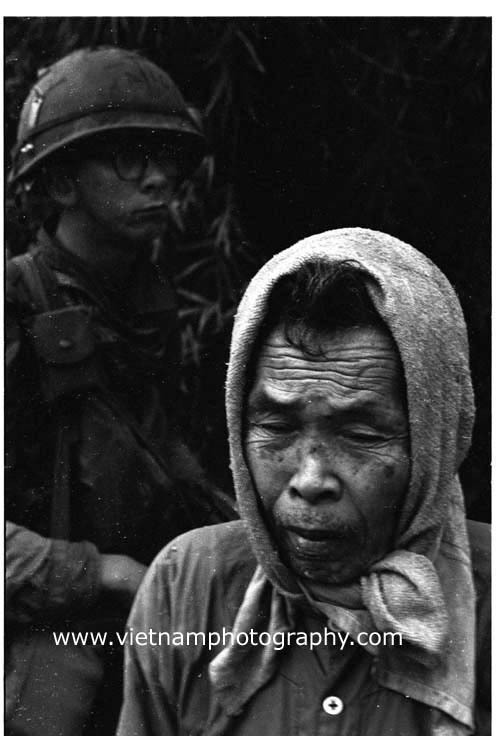 A Marine stands guard over an elderly Vietnamese man during a search of a village. The Marines were from Alpha Co., 1st Battalion, 1st Regiment, 1st Marine Division. 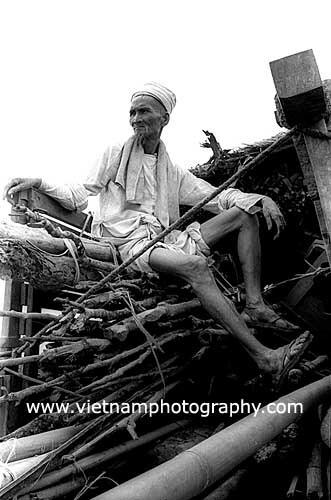 They were taking part in Operation Lafayette about six miles north of Hoi An in Quang Nam province in Feburary 1967.